It might be home to the White House, but in recent years Washington has lacked strong leadership in terms of its club scene. That all changed on September 22, 2012 when Echostage, located at 2135 Queens Chapel Rd NE, opened with inaugural guests Sander van Doorn and Sunnery James & Ryan Marciano. 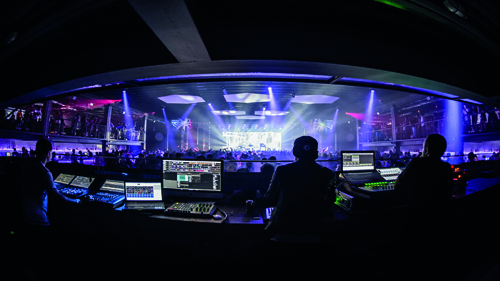 A sprawling 30,000 plus square feet in size, Echostage's top tier spec attracted a similarly high profile list of EDM talent in its first 12 months, including David Guetta, Calvin Harris, Avicii and Tiësto. So it comes as no surprise that the campaign team behind it, partners Antonis Karagounis and Pete Kalamoutsos, are old hands at putting on capital rocking parties. We asked them to look back over their first year. What were you doing before this venture? What is the club scene like in Washington and why did you decide that there was a gap in the market? What were the highlights of the first year? And what have you learned? You've had some high profile guests play. Are you also supporting local DJ talent?